The aim of this study was to investigate relations between cadmium, lead, and aluminum in municipality drinking water and the incidence of hip fractures in the Norwegian population. A trace metals survey in 566 waterworks was linked geographically to hip fractures from hospitals throughout the country (1994–2000). In all those supplied from these waterworks, 5,438 men and 13,629 women aged 50–85 years suffered a hip fracture. Poisson regression models were fitted, adjusting for age, region of residence, urbanization, and type of water source as well as other possibly bone-related water quality factors. Effect modification by background variables and interactions between water quality factors were examined (correcting for false discovery rate). Men exposed to a relatively high concentration of cadmium (IRR = 1.10; 95 % CI 1.01, 1.20) had an increased risk of fracture. The association between relatively high lead and hip fracture risk was significant in the oldest age group (66–85 years) for both men (IRR = 1.11; 95 % CI 1.02, 1.21) and women (IRR = 1.10; 95 % CI 1.04, 1.16). Effect modification by degree of urbanization on hip fracture risk in men was also found for all three metals: cadmium, lead, and aluminum. In summary, a relatively high concentration of cadmium, lead, and aluminum measured in drinking water increased the risk of hip fractures, but the associations depended on gender, age, and urbanization degree. 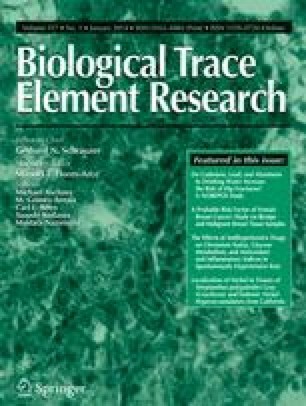 This study could help in elucidating the complex effects on bone health by risk factors found in the environment. The authors wish to acknowledge Mona E. Weideborg for the collection of drinking water samples and Ruth Hansen and Ewa Andruchow for the laboratory analysis. The authors are deeply grateful to system architect monitoring by Tomislav Dimoski at The Norwegian Knowledge Centre for the Health Services who developed the system that enabled extraction and transfer of data from PAS. He and his team also carried through the collection of the hip fracture data. Professor Aage Tverdal at the Norwegian Institute of Public Health has generously managed the original project. Senior advisor Dominic Hoff at the Norwegian Institute of Public Health helped with data processing. The authors thank the staff at the Department of Pharmacoepidemiology (Norwegian Institute of PublicHealth) and Sverre Bjarte Johnsen (Statistics Norway) for assisting in transferring the data to the Norwegian Institute of Public Health and in the encryption process. Hip fracture data for validation of the NOREPOS Hip Fracture Database were obtained from local fracture registries in Tromsø and Oslo, and the authors thank the study investigators for their permission to use these data. Members of the Norwegian Epidemiologic Osteoporosis Study (NOREPOS) Core Research Group are Nina Emaus, Guri Grimnes (Tromsø), Haakon E. Meyer, Anne Johanne Søgaard (Oslo), Berit Schei, Siri Forsmo (Nord-Trøndelag), Grethe S. Tell, and Clara Gram Gjesdal (Bergen). This study was supported by grants from the Research Council of Norway. Professor Tell did not report receiving fees, honoraria, grants, or consultancies. Department of Global Public Health and Primary Care is, however, involved in studies with funding from a pharmaceutical company as a research grant to (and administered by) the University of Bergen. This study has no relation to the present study. All other authors declare that they do not have any financial conflicts of interest. Miguel H, Robins J (2013) Causal inference. Chapman and Hall/CRC. http://www.hsph.harvard.edu/miguel-hernan/causal-inference-book/ Accessed 03 Oct 2013.